Looking for discount codes? Get them at the bottom of this page! Half day rentals are available 9am to 2pm, call us for details as these are not available on the website. There’s nothing quite like hitting the open road and feeling the rush of the wind. Motorcycle enthusiasts have always been incredibly passionate about their rides. 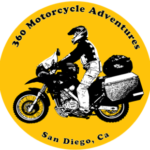 If you’ve been wondering what all of the fuss is about, there’s no better time than now to experience what a cheap motorcycle rental in San Diego, CA, can do for you. If you want the fun, excitement, and freedom of a life on the road, you should check out a Triumph or Ducati motorcycle rental, Polaris Slingshot three wheel fun machine rental or a Harley Davidson or Indian rental. Whatever style of motorcycle you prefer, you’ll be able to find something that suits your aesthetic and skill level. 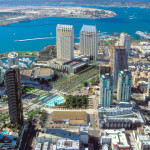 Enjoy a beautiful ride around San Diego’s pristine city scape. We will be happy to give you suggestions on the best stops and sights to see. 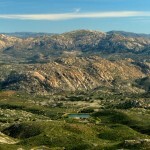 Looking to go south of the Border, we have partnered with 360 Motorcycle Adventures for guided tours in Mexico. Click here to go to their website to learn more. We also offer Mexico insurance. Ask us ! If you are looking for a great day trip, try our Mountain and Casino tour, 171 miles and 5 Casinos. It is a great day riding up and through the gorgeous mountains while stopping off at local Casinos for some fun, food and maybe some good luck. Check out our Video of this tour on our YouTube Channel, click here. 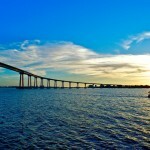 Enjoy a beautiful ride around San Diego’s long scenic coast line and the famous San Diego Coronado Bridge. We are running special offers all the time, check back often for the most up to date offers. Offers may not be combined. © Copyright 2018, Cycle Visions Rental, All Rights Reserved.